Got some amazing audio loops from your hardware synths and modular gear that you want to get creative with? Or some proper drum loops from your drum machines? 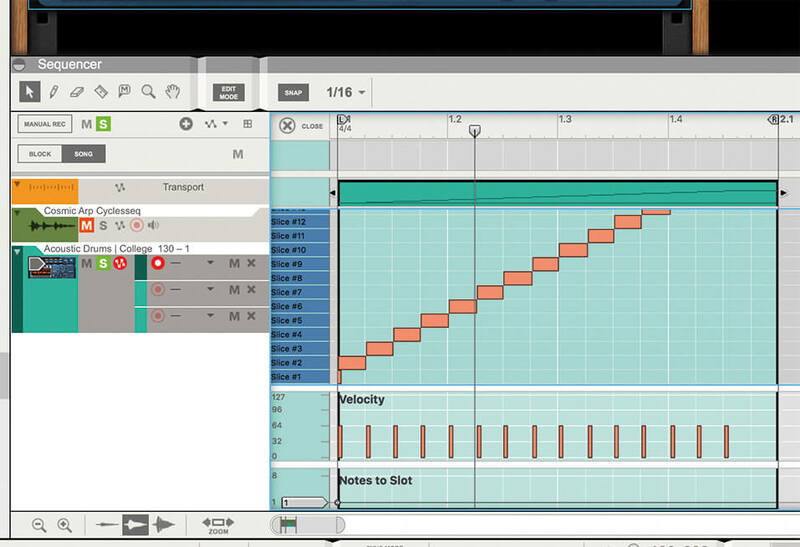 Here’s how to use Reason to turn them into something special. Attention non-Reason users! This tutorial is also for you. After reading it, you might decide that it is the DAW – or at least plug-in effect – that you need for your loop productions. So read on, particularly if you work with analogue gear and want to bring your loops into your DAW world. In this Reason sound-design series, we have pretty much covered all bases, as creative sound design really should. It’s such a broad concept that we have found ourselves exploring specific granular aspects of the Grain synth, looking at some of the more subtle aspects of both compression and EQ when adding clout to bass, getting creative with kick sounds, and then using various synthesis methods to liven up both leads and bass parts. 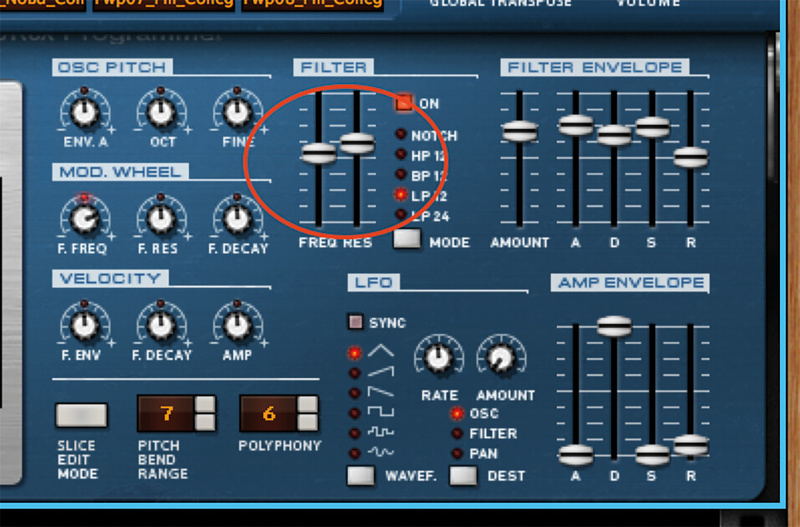 In this tutorial, we’re going to turn our attention to the outside world, and to how you can take any audio file – perhaps created on your Eurorack modular synth setup or hardware drum machines – and get loopy and very creative with them. It’s almost like we’re using Reason as a giant effects rack, and then using the results to create new sets of loops from which we can create songs. 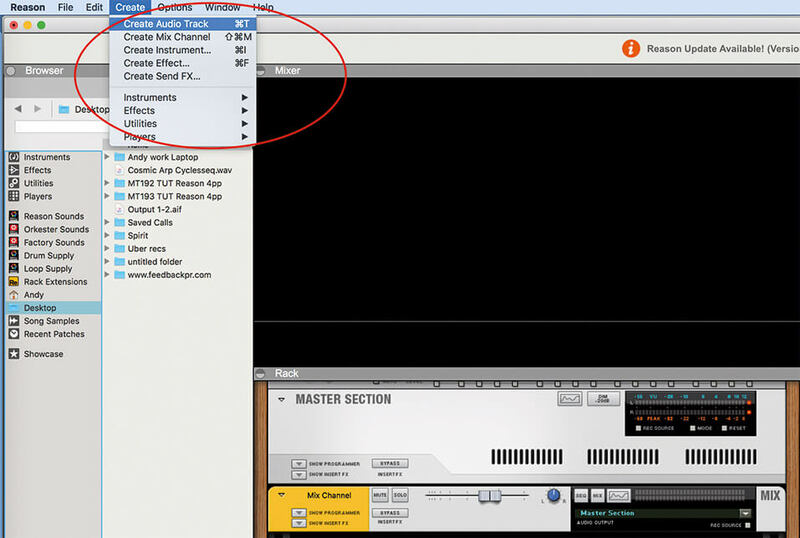 So this Reason workshop is technically open to everyone, and may well tempt anyone producing audio loops to make the jump to Reason, if only to use it as loop creator. Many people are producing audio files from external hardware these days: perhaps sequences and loops from hardware modular synths, or beats and loops from hardware drum machines. Analogue hardware is incredibly popular again, but software should not be discounted, as it can act as the next step; the processing engine for your external hardware. 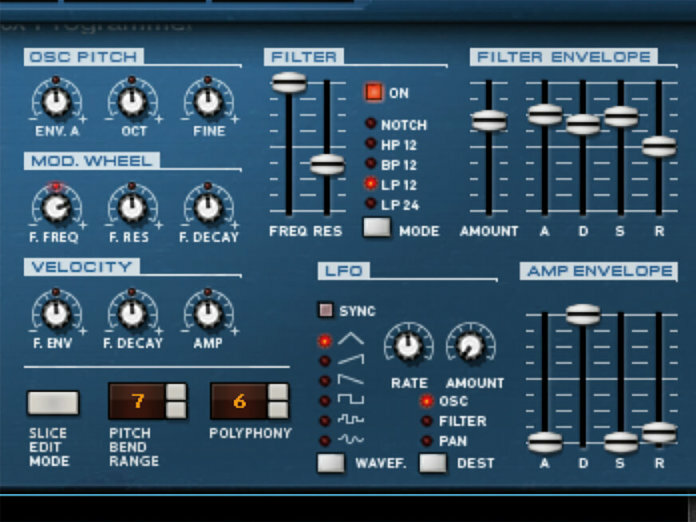 With it, you take what you’ve done on the outside world and create some incredible loops and complete songs, all perhaps with just one single analogue source loop. Reason certainly has a lot going for it in this regard, so there’s more we might expand upon in future tutorials. 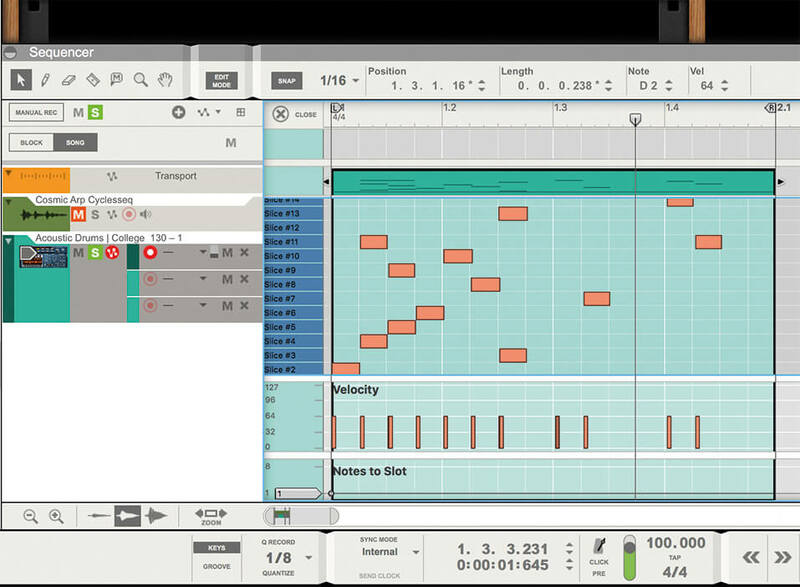 Propellerhead has always offered much in the way of loop goodness, from the early days of ReBirth with its TR-alike classic drum sounds and TB bass, to ReCycle with its beat- and loop-slicing prowess, the company has set the looping fashion trends. 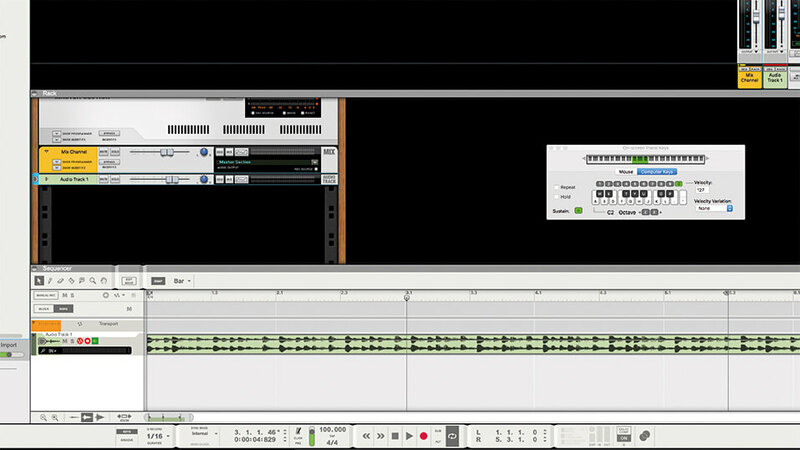 And Reason itself has always been packed to the rafters with samples, players and looping facilities – in fact, it has a reputation as one of the best loop-laden DAWs out there. 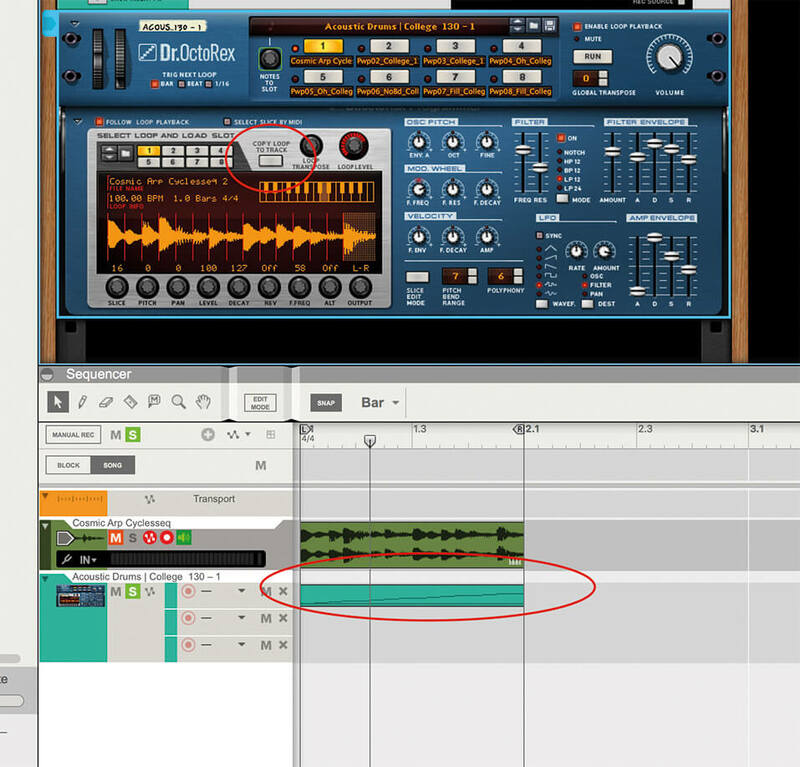 For this tutorial, we’re going to use some classic Reason instruments and functions to take your audio loops from the outside world and completely reinvigorate them. Just to re-emphasise, you can use any audio loops you want to, but the tutorial works best with beats and sequenced loops, because we’re going to initially focus on the older REX audio-file standard, so we can start chopping and changing individual beats and notes within your chosen audio loops. In case you are new to Reason, or simply new to using its REX standard, this is a way of breaking audio down into its constituent transients so you could adjust the tempo of the audio file ‘elastically’ to match any project tempo. You can, for example, break a drum loop down into kicks and snare parts and then be able to move each part separately to match a new tempo. It’s a simplistic way of looking at the REX standard, but what it also means is that you can take each part of a drum loop, for example, and rearrange the beats with relative ease, perhaps replacing kicks with snares or producing glitchy snare rolls. 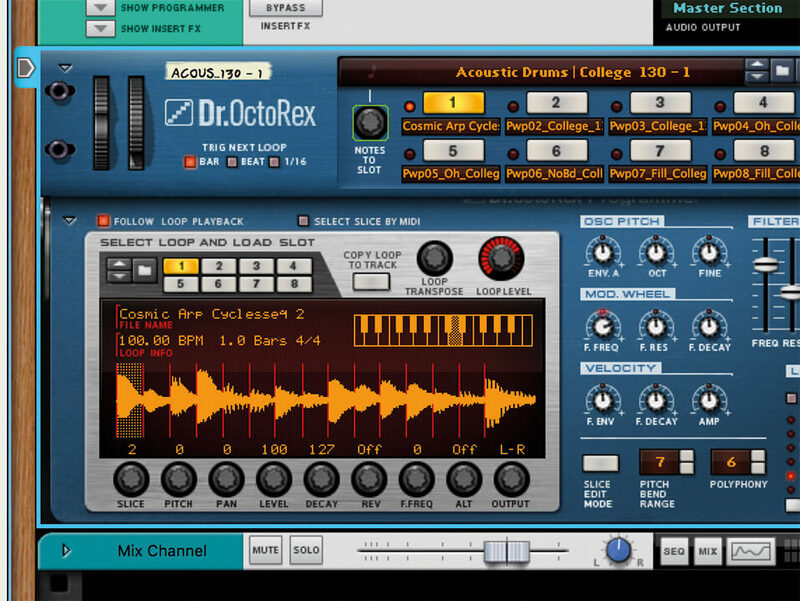 We’re going to use Dr Octo Rex, an older REX mangler, to take your audio loops and mess with them. The start of the tutorial will demo how to take any audio loop and turn it into the REX standard necessary for Octo Rex to work on the file. Then we’ll explore some of this plug-in’s old-skool beat chopping and editing facilities only to discover that this older plug-in has some great uses for the hardware analogue world. 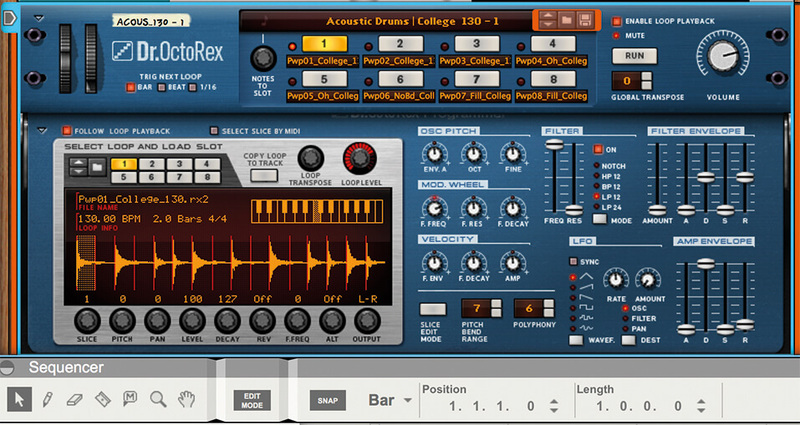 Octo Rex can be used for some modern audio editing, and it’s just the first way of turning Reason on its head for creative looping. We’ll explore this further, plus some of Reason’s newer loop options, next time. 1. Initially, we want to create a very simple project with just one audio track so that you can import your external audio for some loop mangling, so open an empty project and create one audio track. 2. Now open your browser and select your audio file. We’ve chosen a simple synth arpeggiation, like one that we could have imported from an expensive rack of hardware modular gear. You can use beats, loops, whatever you want. 3. We do want it to be a loop with some kind of rhythmic transient quality, so that beats or notes can be edited in the REX format. We have matched Reason’s project tempo with our audio’s bpm. 4. If you don’t know your loop’s bpm, simply Ctrl+drag the end to the nearest bar to time-stretch it. 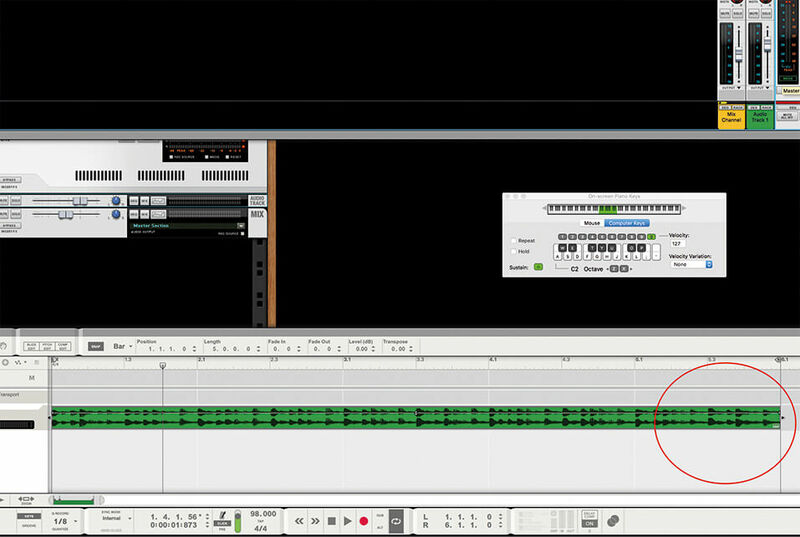 Now changing the bpm in Reason should adjust the bpm of your audio loop, too. 5. With your loop now looping perfectly, double-click on it. This will introduce markers on every transient or peak in the loop, effectively marking out where the beats or notes start. 6. 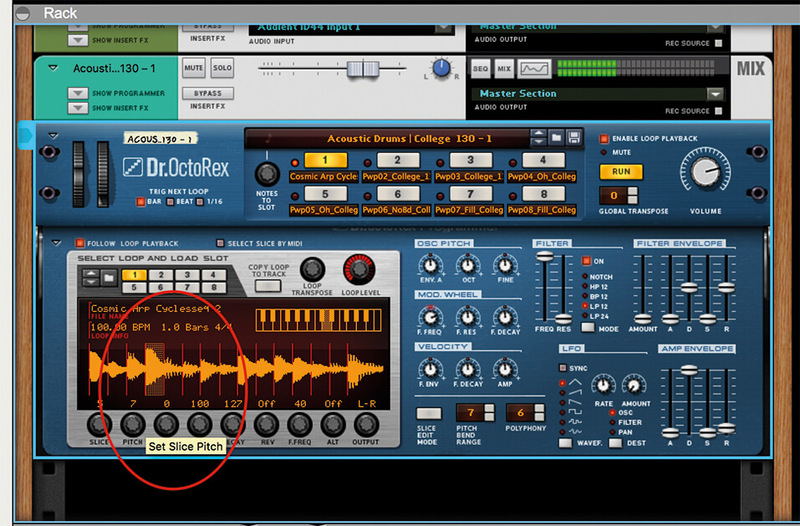 You can now hear each part of this sliced-up audio file by pressing Cmd (Mac) or Alt (PC) and clicking on each slice to play the note or beat. 7. Now we want to export this chopped-up audio file as a proper REX format, so Cmd>right-click the audio file and select Bounce Clip to REX Loop as an option. Your file is now saved in the popular and malleable REX format! 8. 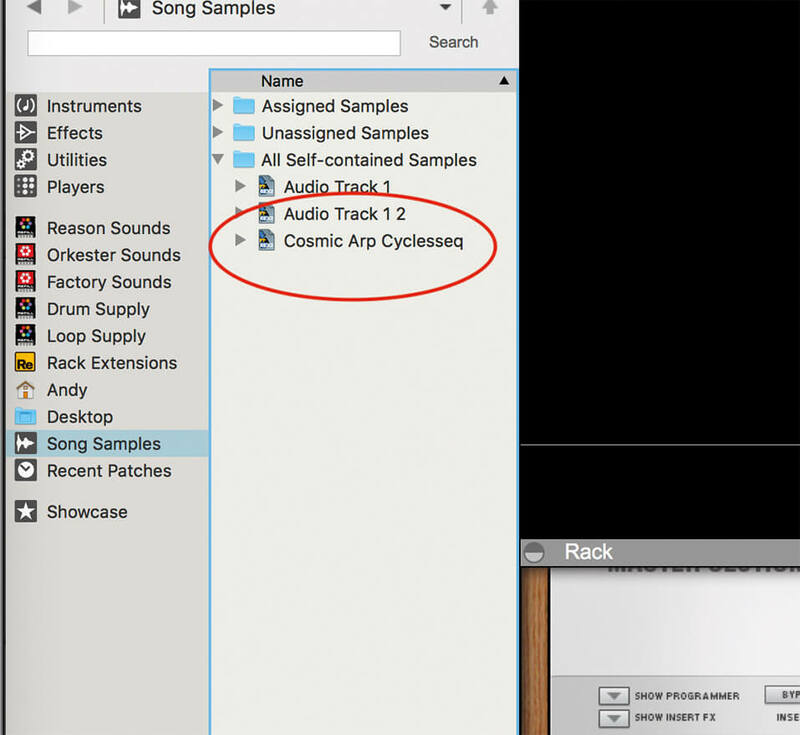 The file is saved in the Song Samples folder – although this can be changed – in our case, as a file called Cosmic Arp Cyclesseq. Make a note of this location, as we are now going to re-import it into a classic piece of Reason gear. 9. 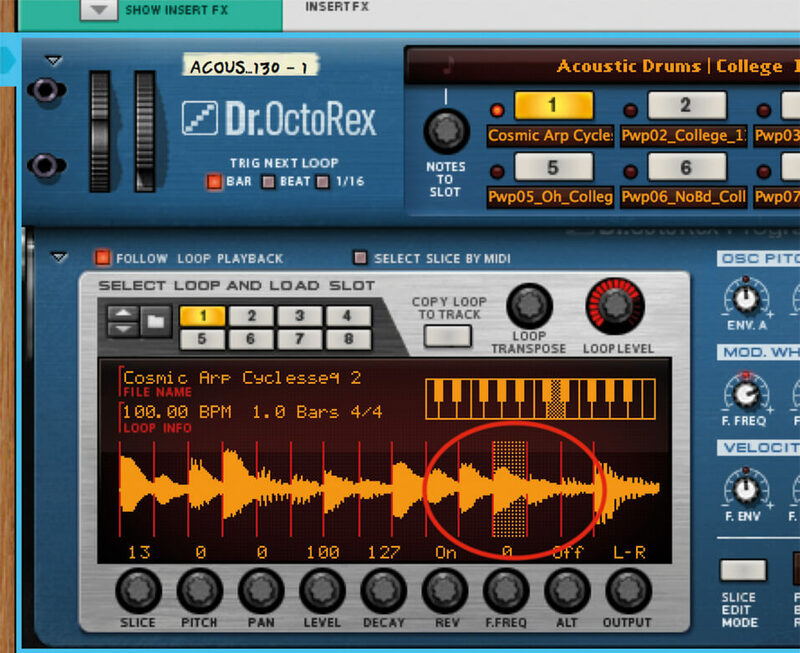 Load in an instance of Dr Octo Rex onto a new track in your Rack. You can now either delete the original audio file and track, or simply solo the Dr Octo Rex track, as that is all we’re interested in now. 10. Expand Dr Octo Rex so that you see the complete edit window showing whatever warped audio file it auto loads with. Click on the browser tab and locate and load your saved REX file (or simply drag it onto Octo Rex). 11. As long as your loop isn’t too long, you should be able to identify all the transient parts. You can now see all the edit options below it. 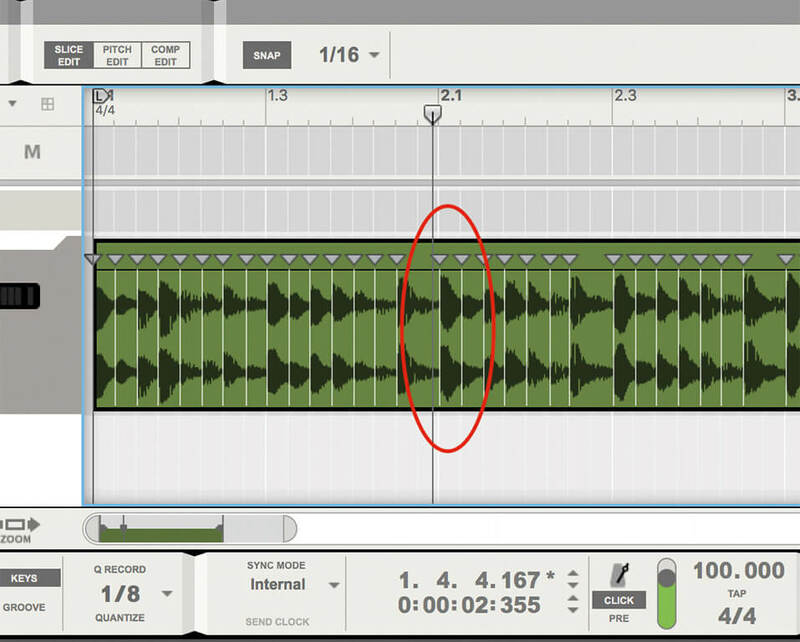 First, select one audio part and adjust the pitch up or down in semitones to move the note up or down in pitch. 12. You can also select each part and choose to reverse each one in an instant. Here we’ve done just that on the fourth note from the end, so Rev is shown as marked on. This is just the start of what you can do in Dr Octo Rex. 13. 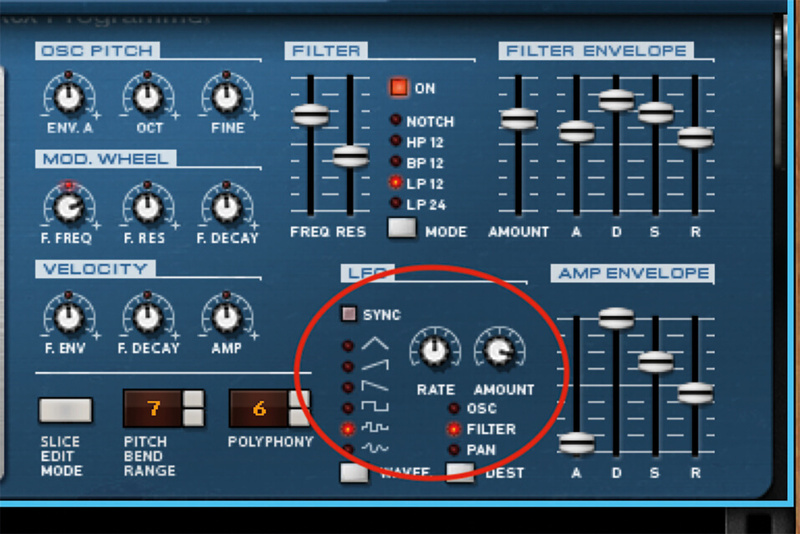 Now turn your attention to Octo Rex’s more global functions, including Filter, Envelope and LFO sections, just like a plug-in synth. You can apply these to your loop as well. 14. Start with the filter settings shown like this. These will apply to all segments in your REX loop rather than per note as we did in steps 11 and 12. You’ll get that classic squelch effect. 15. 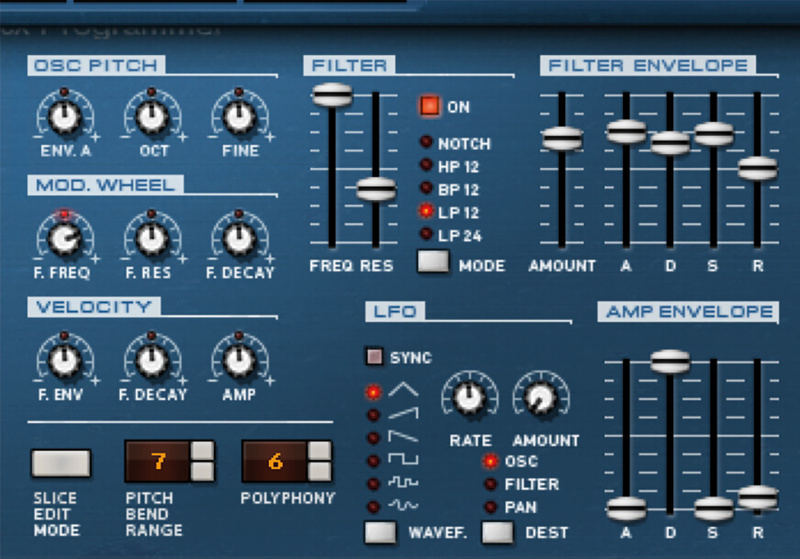 You can also apply an LFO, in this case to the filter for really dramatic changes. The amount that it is applied it determined by the Depth rotary and the Rate controls the frequency. 16. 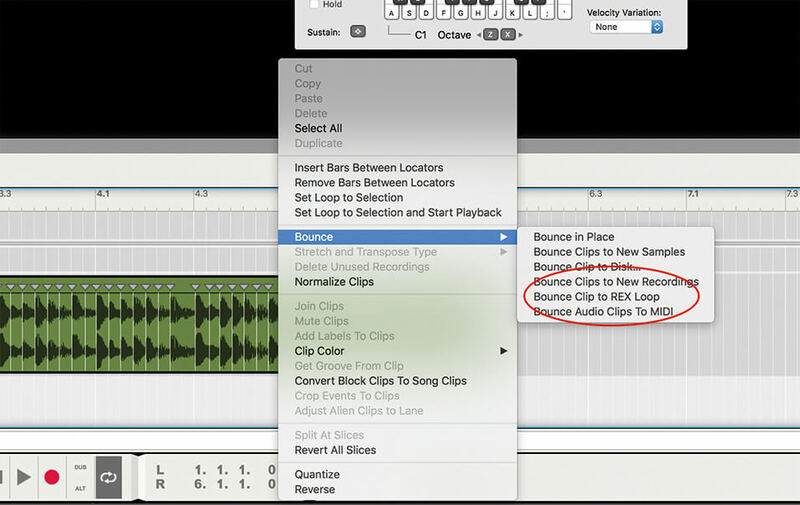 Now, possibly Octo Rex’s most useful feature for today’s audio looper. 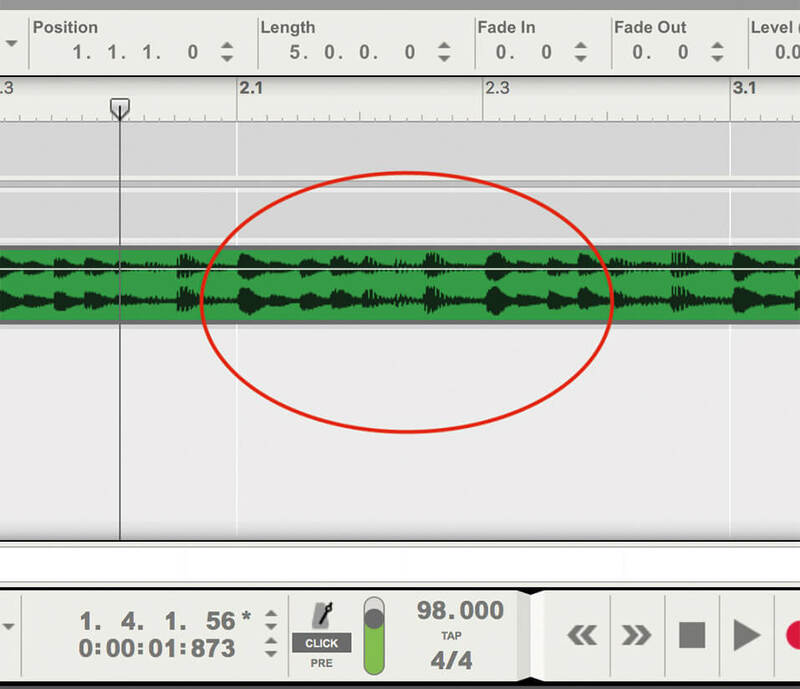 Hit the Copy Loop To Track and a new MIDI track is created with a MIDI file of your audio loop on it – great! 17. The new MIDI file has your loop broken down as the REX segments, but now as MIDI notes spread across your keyboard, so you can play individual notes from your audio loop. 18. Better still, you can rearrange your entire loop just by dragging around the parts. 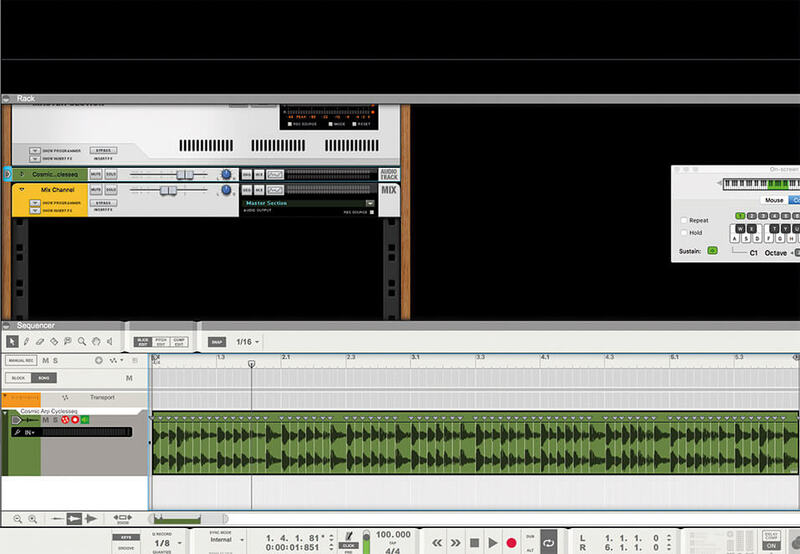 This is just the start of external loop mangling using one of Reason’s older plug-ins. Next time, we’ll go a lot further.